The news feed for A. Garnett Weiss is mirrored at agarnettweiss.com. With sadness, JC read today of the death of master poet Patrick Lane. She offers the poem here to pay homage to Lane’s legacy and in his memory. where the weak have no place. She knows their flesh is a repetition. their wild impossible crying for more. because it resembles the unfolding we call love. JC is thrilled to participate in READ ACROSS AMERICA DAY in Beaufort. Here’s a link to what is spearheaded by the United Way of the Lowcountry from 10:00 AM until 1:00 PM on the anniversary of Dr. Seuss’s birthday. The free program of readings, games and food is aimed at children from Pre-K to Grade 3 and takes place at 801 Carteret St., the Center for the Arts at the University of South Carolina Beaufort. JC learned about this celebration through local author Elizabeth Belenchia and welcomes the kind invitation of the United Way to share her poems and stories with Lowcountry children and their families. She may even try out some new poems to get feedback from the kids. When JC read of the death of poet Mary Olive, she paused to remember very fine words by Oliver that will stay with her always. “As A.Garnett Weiss, I wrote the following cento a few years ago, which I offer in recognition of Oliver’s craft and soul as a poet. May her memory as was her life be a blessing,” JC stated. the dark heart of the story that is all. a dream that would never breathe air. with the reason for the wind forever a secret. JC’s poem “Right Here” was chosen by editors Meaghan Strimas and the late Priscila Uppal for this anthology, which was launched by Mansfield Press in Toronto on November 8, 2018 and in Ottawa at the Sawdust Reading Series on November 21. Written to capture the hopefulness of her mother’s friend, this 5-stanza poem exists in a rich collection that takes cancer on with no holds barred. Not for the faint of heart, these offerings have a life and soul-affirming quality that is surprising. JC is honoured to have her work appear in “Another Dysfunctional Cancer Poem Anthology,” which features poetry from well-known and emerging poets. Ontario poets joined together to celebrate the legacy of Canada’s Confederation Poets on Sunday, October 14 at the Old Ottawa South Community Centre for the Poets’ Pathway awards in response to the 2018 Lampman Challenge. Each winning poem related in some way to Ottawa and to Archibald Lampman’s sonnet,”Winter Uplands,” written in 1899. Poets’ Pathway Press released the chapbook of winning poems at the event. The Poets’ Pathway honours Ottawa’s 19th Century poets on the land that inspired them. 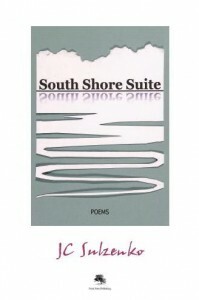 Copies of the chapbook are available through the Poets’ Pathway (poetspathway.ca) for $10 each. JC’s found poem, “Winter@Uplands,” sourced from Lampman’s sonnet and submitted under her pseudonym (A. Garnett Weiss), received Honourable Mention in the competition. Poets’ Pathway committee members Jane Moore, Ben Glossop and Carolyn Malchy organized a full and satisfying afternoon which began with the presentation of awards. Participating poets read their work, and Ronnie R. Brown hosted an open mic session. Music by Ben Glossop and by Noah Landers provided moments for reflection. Excellent nibbles created by Carolyn Best spiced up the proceedings. In January, PEPtBO plans to publish For the Birds, a chapbook of winning poems with photographs taken by local enthusiasts, on its website and to celebrate the chapbook launch with a prize for the top poem. The winner will be announced upon publication of the virtual chapbook. JC explains.”It’s a great way to ring in the winter of 2019 by focusing on birds and nature with poems rooted in the County.” For questions about the contest, write to: info@peptbo.ca. BC-based Oratorealis, which focuses on spoken word and experimental poetry in a triannual literary journal, published two centos by A. Garnett Weiss in Volume 2/Issue 2, which came out at the end of the summer. “Reflection, stained glass” welcomes lines from poets such as Toi Derricotti, Beckian Fritz Goldberg, Brenda Hillman and Alicia Suskin Ostriker. “Where, watching life through windows”* takes its words from poems by some of the greats of the 20th century, including Dylan Thomas, Ezra Pound and Stephen Spender. *The title of this poem regrettably was misprinted in Oratorealis. JC began her love affair with poetry written on demand many summers ago at what was then known as “Art in the park,” a showcase for artists, crafts people and assorted others in her neighbourhood. Wearing a lot of sunscreen and with paper pad and pen, she set up a table and offered to write poems for visitors at $2.50 each, the proceeds of which went to a charitable organization. She cannot remember to which one the modest take went that first year. She attached certain caveats to the process: payment upfront; she held the copyright to the poem; no one could dispute what she had written; she reserved the right to refuse to write on a subject with which she was not comfortable. Those who dared to test her skills were interviewed briefly about the subject they had chosen, then sent away to wander among the artisans. When they returned, they picked up the poem in a neat scroll. More often than not, they unravelled the poem and read it on the spot. And commented. Almost all very pleased with the result. Though not a big fundraiser, JC found the experience exhilarating. “I used a number of the poems written at that festival in “Fat poems Tall poems Long poems Small,” my ekphrastic book of poems for families and children to which Ottawa artists contributed interpretative illustrations.” Several other poems found their way into chapbooks. For a couple of years, JC returned to the venue, adding a tent and two chairs to facilitate the interviews and for the sake of privacy. Each year, the price tag went up by a bit. The final year of her participation, the funds raised were donated to a local hospital. Then she stopped, overtaken by other writing projects including “Boot Crazy” and later by “What My Grandma Means to Say,” her book and play about Alzheimer’s disease. Now she has taken up poetry on commission again with enthusiasm. The process begins with agreement on a base price for the poem, which can take the form of free verse or rhyme. The ‘buyer’ pays JC upfront. Then, there’s an interview which can take as little as 10 minutes over the phone or up to an hour face-to-face, where that’s convenient to the parties. JC considers carefully what she has learned about the subject and writes the poem within the timeframe agreed to in the discussions. The length of the poem can vary depending the subject matter. Once she’s satisfied, she shares the poem and asks for comments as to accuracy only. If there are any factual inaccuracies, she corrects them and then provides a final text. She asks that the poem not be published without her prior permission and then only with clear acknowledgment as to her authorship. Garnett’s prose poem “When Johnny came marching” appears online in the newest series from Silver Birch Press (SBP) in California. The photo, which complements this poem, shows Johnny still in Garnett’s hands and favour. From 3:00-5:30 PM, Saturday March 11, Garnett joined Toronto writer and event host Lee Parpart and other contributors to the Nancy Drew Anthology, plus special guests emcee Liz Gruening-Hay, Angela Misri and Melanie J. Fishbane to celebrate this new collection of poems, artwork, short stories, and memoirs inspired by the forever-young-woman sleuth. Geared to adults and to appeal to kids grades four and up, the afternoon entertained the enthusiastic audience with readings from the anthology published by California-based Silver Birch Press (SBP.) Each speaker shared anecdotes about her own connection to and love of all things Nancy Drew, whose mystery series was published over a period of 80+ years and enjoyed by multiple generations. Garnett first read four poems by international contributors to the anthology and then focused on the work of Canadian poets in the anthology. She explained that SPB published her erasure poem, “With original mystery,” which extracts words in the order in which they appear from the list of Nancy Drew book titles on the inside title page of “The Hidden Staircase”, released in 1939. Instead of reading “With original mystery,” she shared her found poem, “Siren,” now posted her website. “Siren” uses non-contiguous, unaltered phrases from “The Secret of Mirror Bay,” published in 1972. The afternoon’s festivities included prizes and a book sale. Copies of the anthology are available from Silver Birch Press and Amazon. Editor Jenny O’Grady paired Garnett with Maryland artist Gina Pierleoni as co-contributors to the 28th issue of the online journal “The Light Ekphrastic, ” now celebrating its 7th anniversary. Garnett chose The Deepest Sleep from among the extraordinary works of art on the website featuring Pierleoni’s art– http://ledbaltimore.com/featured-on-the-board/gina-pierleoni/. “Given the range of work Gina exhibited, so much of her art called to me, but the instant I saw The Deepest Sleep, I had to write to it. Surrender is the result,” Garnett noted. Never mind the first unicorn received second prize. Honourable mentions went to We lie down in each other, we lie down alone, and to The only song I know. Garnett’s cento Nothing is eternal. Not even the trees won the 2013 contest judged by Gregory Betts. He also awarded honourable mentions to Against a guttering candle, written dreams and to Psyche. Given his passing yesterday at 82 and having seen a clip from the media conference at the September release of his last CD where he explained he was ready for death but rather would ‘live’ forever (and he will), it feels appropriate to republish that poem in his honour here. while we waited together for a book on reserve at college. The librarian bellowed out my last name. We both stepped forward, lightly bumping hips. as the man at the desk glared through thick lenses. “Leonard,” he harrumphed, dismissing me. Just then, I realized who you were. I bowed my head, rejoined their line. my mother listened to every day till she died. after you started to tour, that’s when I fell for you. its low-growl purr seductive as the melodies that play in my mind. sounds like some fairy tales. For kids of many generations, Nancy Drew mysteries by Carolyn Keene hooked them on reading. Whenever a new book came out, the local bookstore (and there were several independent! bookstores in my neighbourhood!) would sell out very quickly, as young readers couldn’t wait to follow their favourite sleuth as she unravelled threads of the next puzzle. 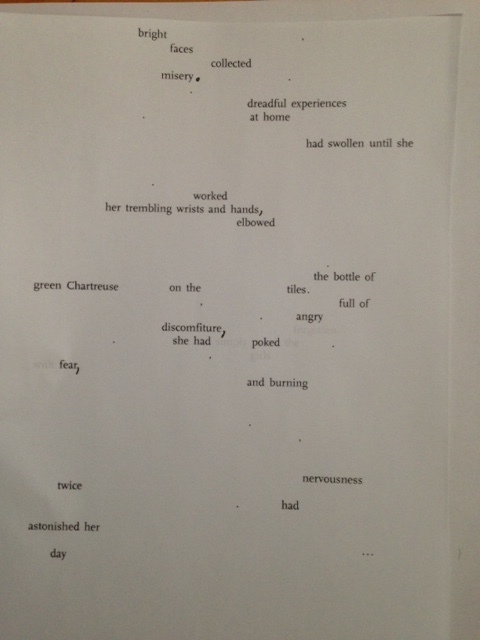 Garnett is pleased that Silver Birch Press of California chose her erasure poem “With original mystery” for the anthology, published on October 1. This poem extracts words from titles of Nancy Drew books in the order they appeared on the the page preceding the inside title page of “The Hidden Staircase,” published in 1930 and reprinted in 1995. The poem and the page showing the erasures both appear in the collection. Garnett’s second poem arising from Nancy Drew sources has been posted under the A. Garnett Weiss tab. “Siren” uses non-contiguous phrases, taken unaltered from”Nancy Drew: The Secret of Mirror Bay,” published in 1972. Go to Bookends to read JC’s review of Plum Johnson’s 2015 memoire, “They Left Us Everything,” which won the Charles Taylor 2015 Prize for Non-fiction. A review and rating with reservations. Again, it gives JC a kick to keep her reviews within the same number of words as twitter allows characters per tweet. Focuses the mind. Adds discipline. Makes her not yak on and on with thoughts about a book. Go to Bookends to read JC’s review of J.D. Carpenter’s 2016 mystery, “The County Murders.” She gave it 8/10! Go to “Bookends” to read JC Sulzenko’s mini-review of Chris Cleave’s 2008 novel, “Little Bee.” Why does she give this best-seller only a 7/10 rating? See for yourself. Here’s the link to the Niagara CAA’s website which lists the 2016 winners. Three of Garnett’s centos were awarded top prizes. “Never mind the first unicorn” took 2nd Prize and “We lie down in each other, we lie down alone,” and “The only song I know” gained honourable mentions. “This is the second time my centos have been favoured in this contest. I am grateful to Judge Keith Garebian for favouring my work with these awards,” Garnett confirmed. 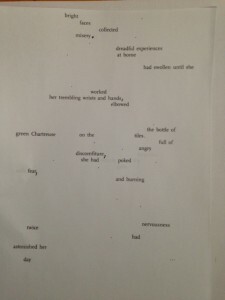 I accepted the day 29 prompt in NaPoWriMo.net because the Day 30 prompts from that site and from Found Poetry Review were not a good fit. I am pleased to have participated in this month-long writing challenge but, at the same time, feel relieved it’s over. And apologetic that I was a day late once in a while. 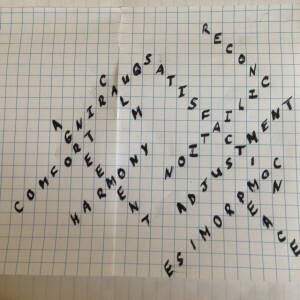 Thanks to Found Poetry Review and NaPoWriMo.net for kick-starting every day in April with great ideas. then draped me in a shawl of worry: Would she be alright? Would you? In June, she popped pills to stem the nausea, then slept day-long. I offered mint-leaf tea, dry toast, warm blankets and hugs. her judgment, her experience? Could I trust her with my daughter? I understood the passion, the argument about when life begins. you kick at me as though you were dancing the can-can. then every fifteen as she breathed through your false start. I wanted so badly to stay, to wait with her it hurt in my gut. I gathered the shawl to me but felt its cold through the car window. your mother resting well with a local anesthetic. I sat in the living room, sipped wine, held your grandpa’s hand. waiting, worrying, waiting, worrying, waiting, worrying. In the silence, the shawl constricted like a straitjacket. The phone rang, delivering your mother’s voice. She sounded like a child herself. left early the next morning to greet you before you were a day old. and couldn’t believe the wonder you are, of my flesh, my blood. and remembered all the words. I went online and used phrases and words largely unaltered from an article from European Nuclear Society (euronuclear.org.) What Is A Nuclear Reactor? 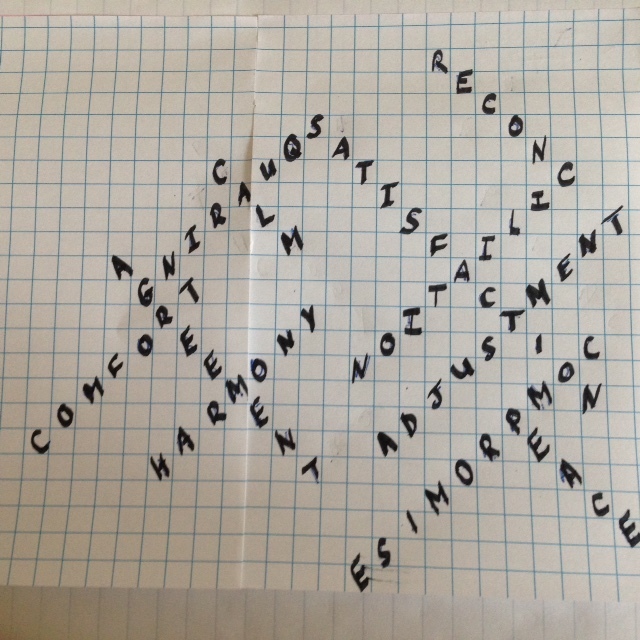 to respond to the prompt on this penultimate day of National Poetry Month. I certainly didn’t understand the technicalities in the article when I composed the poem below. Comments are welcome. The same, reinforced, secondary light. Inside you opens up, vault after vault endlessly. and grow milder and wilder than here. with journeys in its claws. everything living sings, stoops, waves, creeps. Garnett is delighted that the editor chose a photograph of the Rideau Canal in winter to complement the poem occasioned by Ottawa, Canada, having the dubious distinction of being the coldest capital in the world on one frigid day in February. “The selection process is ‘blind'”, says Weiss. “That’s its charm. I submitted a few poems to the Editor and heard that my work had been selected and would be forwarded to the artist with whom the editor linked me. In return, I would receive a number of artworks by that artist. Garnett’s poem, “Woman of Ice, Woman of Glass” inspired Laureto to create the image of a woman that is striking in its use of lush tropical flowers, water, and crystals. In turn, Garnett’s poem “Antigua” riffs off Isabelle’s portrait of a woman floating among Men-of-War jelly fish to address matters of the heart. Garnett thanked the editor of The Light Ekphrastic and Isabelle Laureta for the experience. Although information on A. Garnett Weiss is available from www.jcsulzenko.com, an independent Web presence has now been established. “Since Garnett’s work is receiving attention and being published in literary journals and on-line, it seemed a good moment to create a site dedicated to Weiss’s poetry. ” Go to http://www.agarnettweiss.com to access the site, which will be updated on a regular basis. “Vallum” devotes its new issue to the theme of speed and travel and features poetry from Gary Barwin, Evelyn Lau, Jacob Scheier, Karen Solie, and Jan Zwicky among others. “Hesitation marks,” a cento by A. Garnett Weiss which pays homage to Robin Robertson’s poems, appears in the issue. “It’s an honour to have Garnett’s work included in this fine magazine,” JC noted after attending the launch at the Supermarket in Toronto’s Kensington Market on September 29, 2014. Silver Birch Press has honoured Garnett Weiss by publishing “Had a window” on September 4 in its series of found, free verse poems, based on an interview with a celebrity. The source from which Weiss extracted words and phrases for the four-stanza piece was Richard Ouzounian’s “The Big Interview: Ryan Reynolds,” which appeared in the Toronto Star on August 23, 2014. As Weiss explains, “I read the source material, extract phrases or words of interest, then live with them until a sequence emerges and then the poem clicks. I am delighted that “Had a window” has gained a place in the series which this imaginative press is posting through the whole month of September. “It’s grand that Silver Birch Press published this piece, which uses the syllable count and form of the tanka, ” Garnett Weiss notes. “The poem examines how the brain is central to our individual human-ness and what vulnerability in the brain brings home to a person. The Silver Birch Press series feature two poets/poems per day by contributors from Canada, Australia, Austria, Colombia, India, Norway, Pakistan, Russia, Singapore, Sweden, United Arab Emirates, United Kingdom and the United States. For more information on The Saving Bannister Anthology, please go to:http://canauthorsniagara.org/poetry-contest/. Copies of the anthology are avialable from The Canadian Authors Association Niagara Branch c/o 70 Champlain Avenue, Welland ON L3C 2L7 at $15 per copy, plus $3 for shipping/handling.